This respirator is NIOSH approved for respiratory protection against certain organic vapors and particulates up to ten times the permissible exposure limit (PEL). Half Facepiece respirarator may be used in a variety of workplace applications, includeing spray paints, pesticides, agriculture, contruction, and transportation. 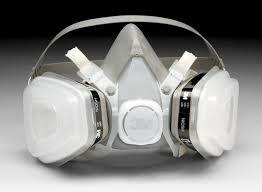 This disposable respirator assembly offers greater convenience by reducing the need for long-term maintenance. Ideal for intermittnet use.